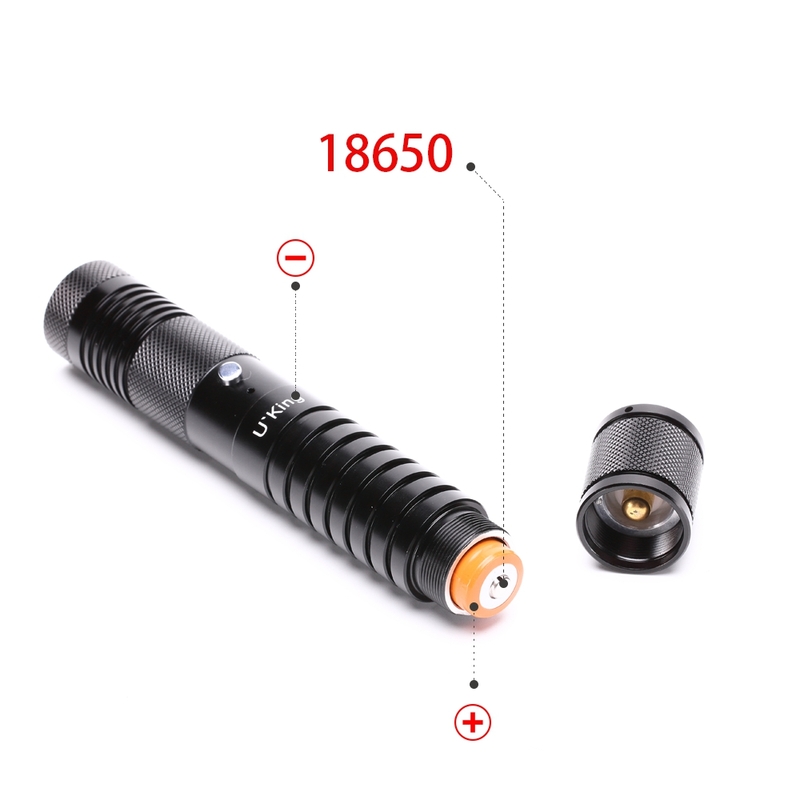 UKing ZQ-J32 5mw 532nm & 650nm double light 5 in 1 Laser Pointer can be used to driving birds, outdoor and astronomical instructions, widely used in museums, exhibition venues, tourism mountaineering, cave exploring, site construction inspection, medical teaching, mountain guidelines Instructions for use: Power button is at the bottom of the laser torch, press it to turn off r turn on the power. 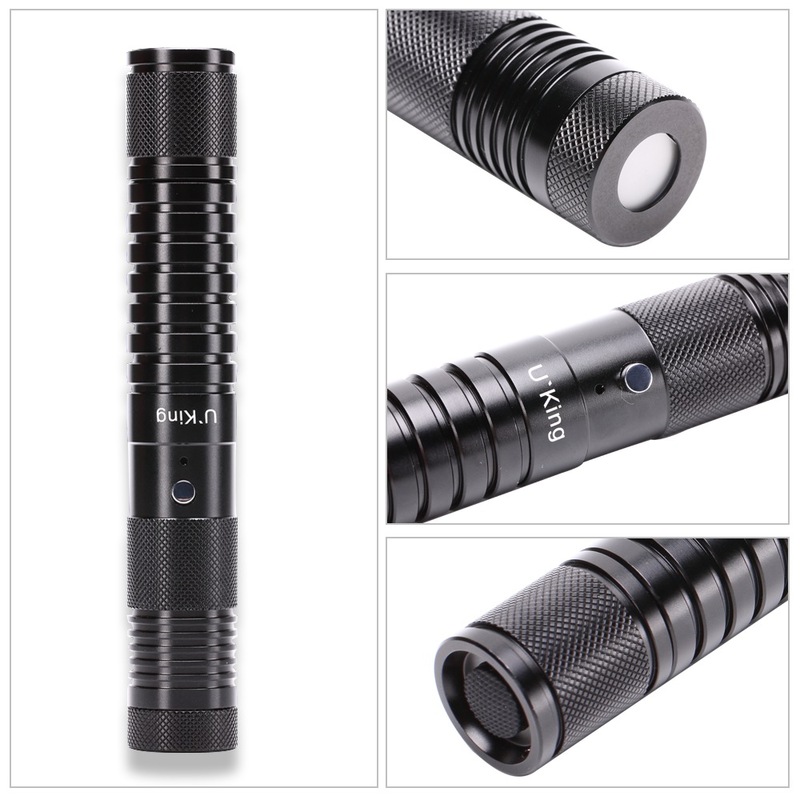 Laser mode adjusting button and indicator is in the middle of the torch. Press the mode adjustment can switch the laser emission mode (red / green / red green / red and green blink ).When power is on, the indicator would become red. 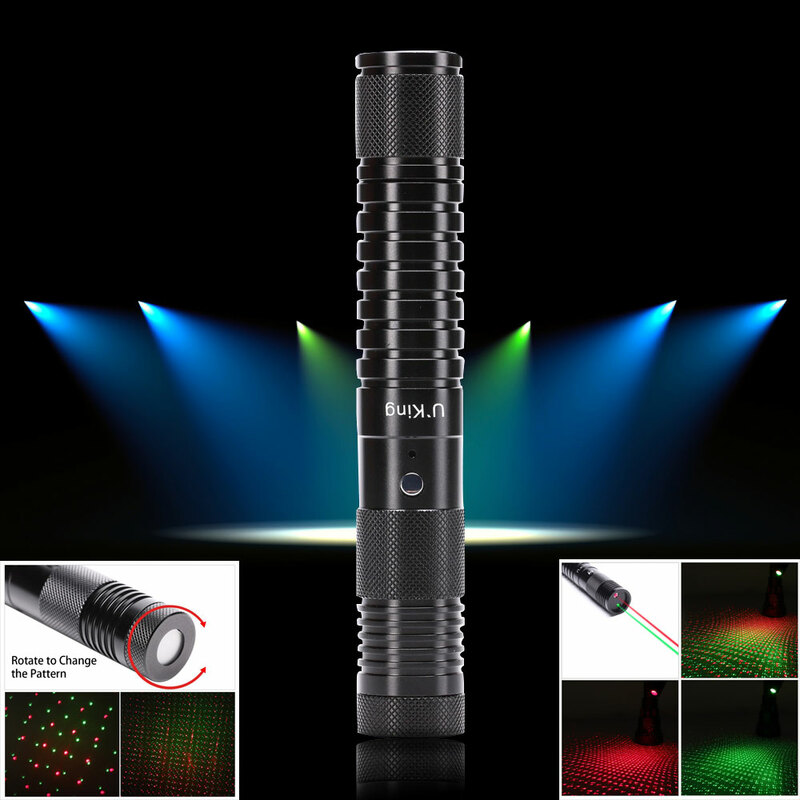 Removable star cap is rotary designed and covered right ahead the red and green laser emitting ports. 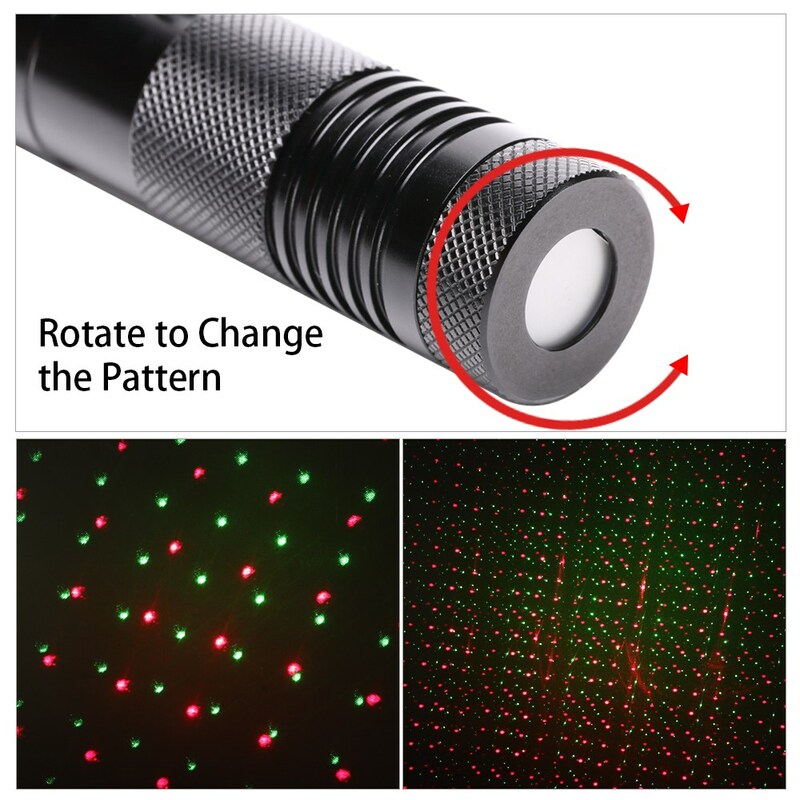 Rotating it can adjust the light spot smaller or bigger to form different light patterns. Rotate it anticlockwise, the cap becomes loose and can be removed. 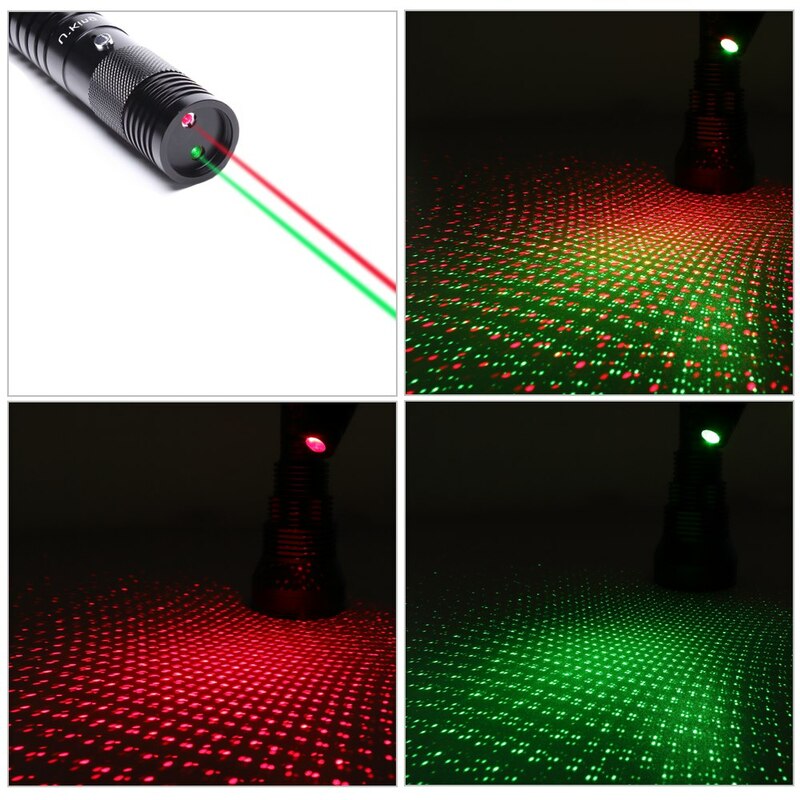 Pointer without caps offers highly focused brightest straight beam light.